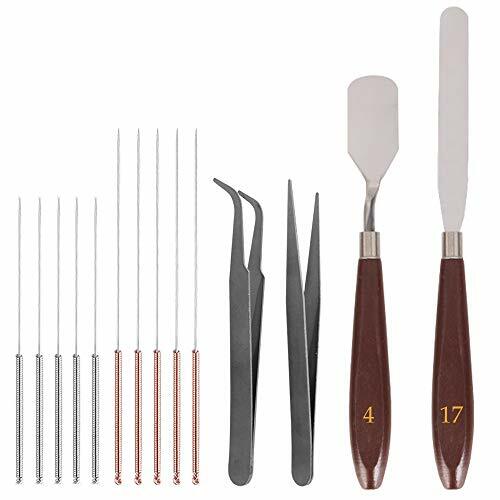 Purpose: Suitable for CNC, 3D Printer, DIY Model ETC. 2 Sets T8 Anti Backlash Spring Loaded Nut, 4mm Lead, Suitable for 4mm lead Threaded Rod. 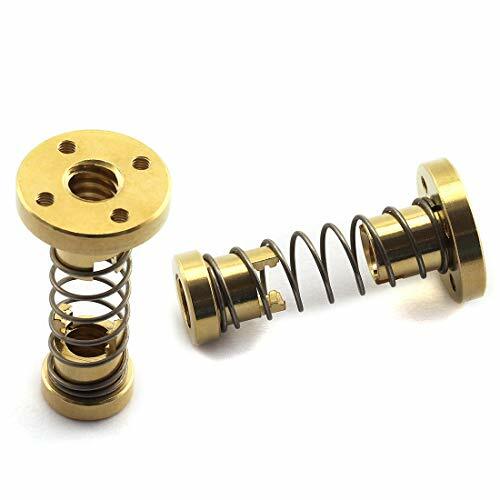 Made from high quality brass, high precision, rust and corrosion resistance, sturdy and durable. T Type Thread Size: Diameter 8mm, Pitch 2mm, Lead 4mm, Nut turn one circle, screw forward 4mm. Suitable for CNC, 3D Printer, DIY Model ETC. 2.Turn the YZ frame on the side and insert the antivibration foot inclined, then rotate the foot until you squish the rim inside the extrusion. 3.Repeat this process on all 4 feet. Place them 2-3 cm from the end of each extrusion. High Quality! Made of rubber, strong and durable, long service life. Function: Shockproof, Anti-friction, to protect the printer. Used for T slot 2020 aluminum extrusions, 3D printer hardware accessories. 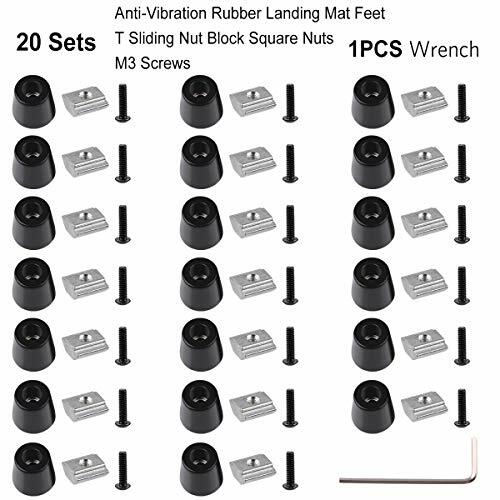 .Package Contents: 20pcs anti-vibration feet, 20pcs 2020 T Sliding Nut Block Square nuts M3, 20pcs M3 screws, and a wrench as a gift for you. Strong After-sales Service Team: As long as you have any questions about the product, we will resolve your issue immediately if received your email, your satisfactory purchase experience is our greatest hope! How to email us? Plz click “MakerHawk-US” and click “Ask a question” to email us! Looking forward to your consultation!